In a small bowl, combine onion powder, garlic powder, oregano, basil, thyme, black pepper, white pepper, cayenne pepper, paprika and salt. Store in an airtight container. Wonderful! I cut down on the cayenne for my little ones, and it was still really good. I used it on baked tilapia. I will keep this on hand and use it often! 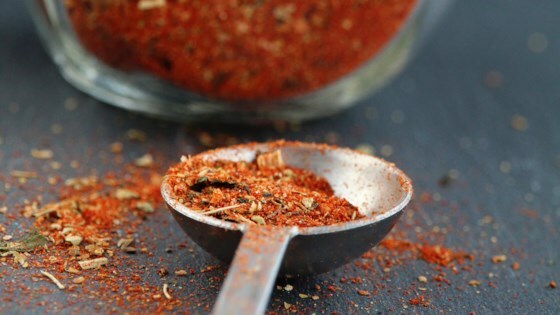 Creole Seasoning Blend is a big hit at BBQs and reheated for an indoor dinner. It's a great investment because once you mix the blend, it can be used for so many easy, delicious chicken dinners.